When most people think of a family vacation in California, they inevitably fixate on Disneyland, Universal Studios and the beaches. While those family-friendly places are fantastic—the theme parks are a must visit for most kids once in their lifetime at least), the state of California boasts more than theme parks and beaches. From thriving desert cities to spectacular coasts and majestic peaks, from wine countries to Pacific islands, there is so much more to explore in the Golden State. Here are some of the best ones. Palm Springs, known only formerly as the playground of Hollywood Royalty, has a lot to offer. A couple hours east of Los Angeles and not far from the impressive Joshua Tree National Park, this literal hotspot is great for the family. 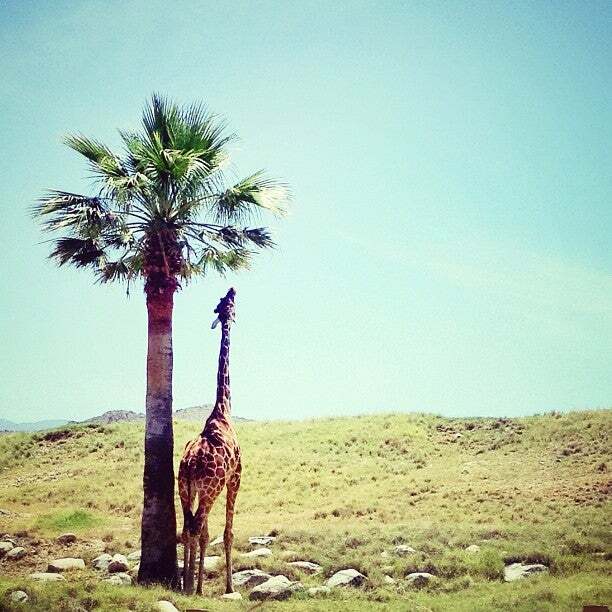 Spend a morning at family-friendly The Living Desert, a zoo-slash-botanical garden hybrid with a focus on desert life. Make sure to splurge on the on-site shuttle service to tour the grounds or hop on and off at the various stops. Follow that up with a trip to the Palm Springs Aerial Museum for young aviators or a ride on the Palm Springs Aerial Tramway for a different view of the city. And make sure to stop at Great Shakes, a local legend, to cool off and experience why there’s a constant line here. Napa Valley might not be the first destination that comes to mind for family vacation but there’s more than wine to this lush destination. A more family-friendly approach to Napa Valley will still delight the tastebuds. Home to highlights like the Bouchon Bakery, not to mention other Thomas Keller restaurants like Ad Hoc where fried chicken is regularly on the menu, will satisfy every palette. Visit the CIA or Culinary Institute of America; and if you can wake the kids up early enough, experience the once in a lifetime opportunity of taking a hot air balloon ride from a vineyard. The image of Venice, California may come to quite a few minds with the words “California beach,” but the California coastline is so much more than that. The diversity of family-friendly beaches go beyond those typified in movies and no stretch of coastline is more worthy of a visit or more majestic than the stretch in Big Sur. You can drive along the Pacific Coast Highway for almost endlessly stunning vistas. Be prepared to stop, a lot. Whether looking out onto Bixby Bridge, the haunted Point Sur Lighthouse, or McWay Falls, which drop 80 feet to the beach and water, you and your family will be instilled with the majesty of the West Coast. Nestled in the Sierra Nevada mountains resides another jewel of California. On the short list of must-see national parks (google “Yosemite vs. Yellowstone” for perspective on that debate), the 1,200-square-mile Yosemite National Park will reconnect you and your family with the outdoors. Whether roughing it or staying in the local lodges, you’ll still be within shouting distance of the family-friendly Yosemite Valley that lends the park its name. The cliff face of El Capitan, the Yosemite Falls, Tuolumne Meadows, and Cathedral Lakes are all amazing points of interest that will inspire. And you will still have 95% of the park left to explore. California even offers the island life. Twenty-two miles off the coast of Los Angeles, just a ferry ride away, lies family-friendly Catalina Island. Usually a day trip for those coming from LA, there are quite a few hotels and B&Bs for those looking for an extended respite. There are quite a few activities for families here. Take tours across the island into protected wilderness. Go off-roading, take a zipline tour, go snorkeling, or for those with smaller children, take a glass bottom boat voyage or semi-submersible submarine and watch the colorful undersea wildlife up close.